For millions of Floridians, Jeremiah's needs no introduction. For everybody else, there’s a delicious treasure waiting to be discovered. Jeremiah's Italian Ice is a beloved and rapidly growing sweet spot located throughout Florida. They asked me to help update their website to provide customers with better information and provide a better mobile experience. 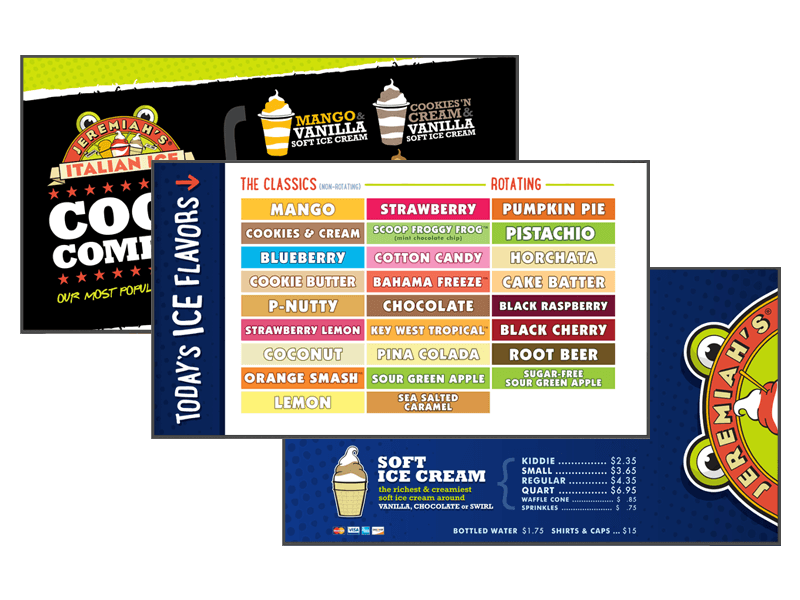 What resulted was a completely redesigned web presence with the information their fans wanted, such as current flavors offered, nearest locations, and online ordering. 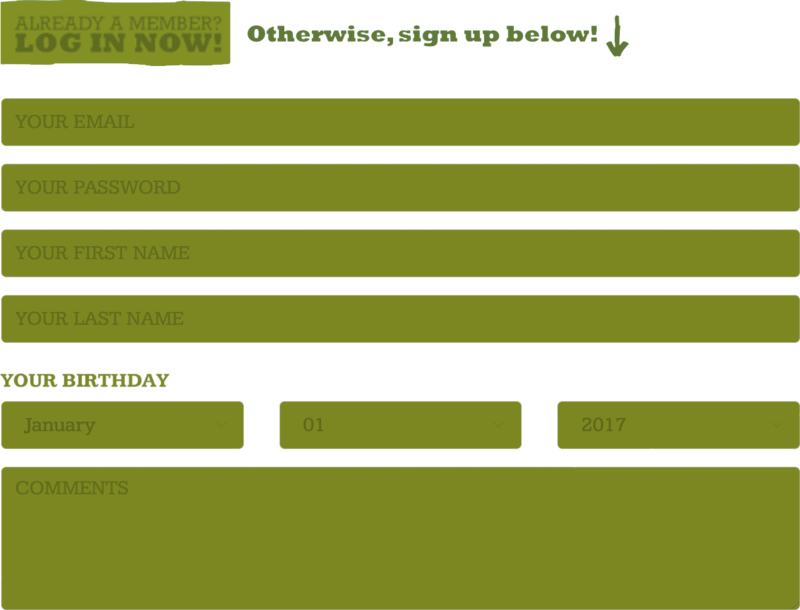 A major goal of the Jeremiah's website redesign was to transition it from a website to a web presence. The previous website required Adobe Flash, which meant it didn't display properly on many mobile browsers. 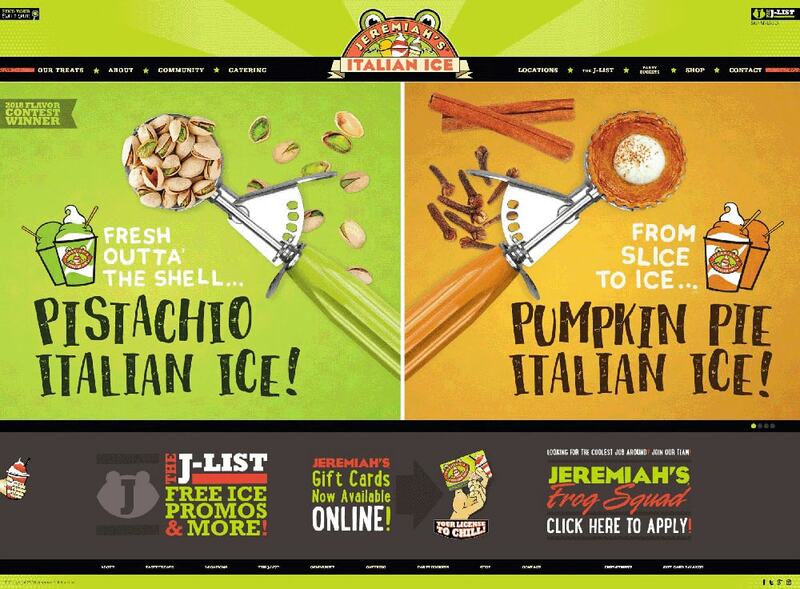 With a scoop of personality and a dash of zest, the new Jeremiah's Italian Ice website perfectly jives with their chilled-out atmosphere and trendy take on life. As they like to say, "Live Life to the Coolest!" Mobile devices are foundational parts of modern life. Over 50% of smartphone users grab their phone immediately after waking up in the morning. 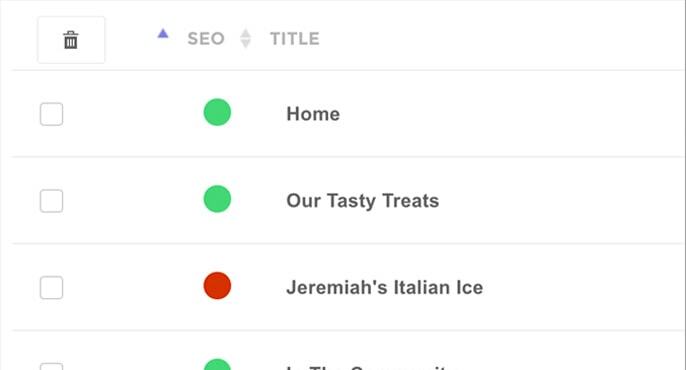 Every website that I build, including Jeremiah's Italian Ice, is approached from a mobile-first perspective. That means all functionality first starts with it's mobile incarnation, then is expanded to include desktop-class interaction techniques. 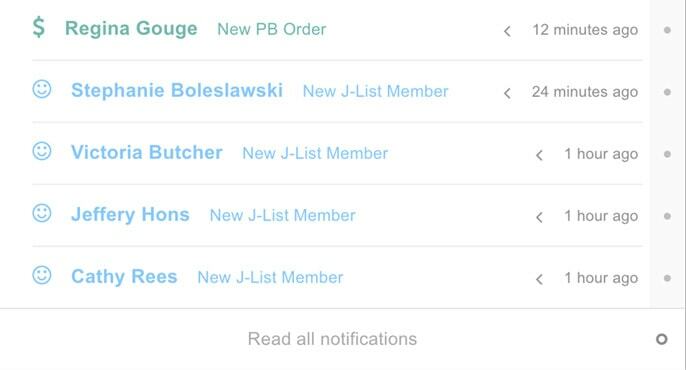 The J-List is Jeremiah’s unique rewards program, featuring members-only coupons, product announcements, and free birthday treats. For such a cool treat, this program is hot! With the launching of the new Jeremiah’s Italian Ice website, the J-List was improved and digitized. Members can now log in, select their favorite locations and treats, and access more unique features — expanding all of the time! Since launching in Spring of 2017, JeremiahsIce.com has seen over 200 new J-List signups per day. That adds up to roughly 6,000 new subscribers a month! The new Jeremiah’s website includes major eCommerce components. Both an online shop with Jeremiah’s merchandise and party bucket ordering for events is available to visitors. 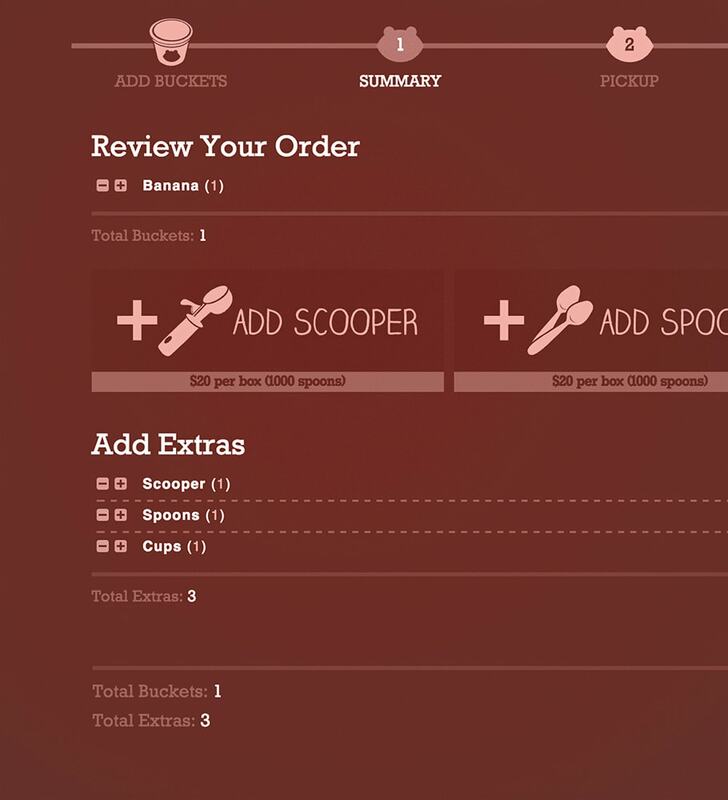 In determining layout based on usability, it was determined that a step-based wizard would be best suited for the party bucket ordering process, which includes more options than a traditional checkout process. Research indicated that visitors would most likely be moving forwords and backwards through the checkout process (editing the cart, adding more product, making adjustments, et cetera). The increased flexibility of a wizard was perfect for this visitor behavior. 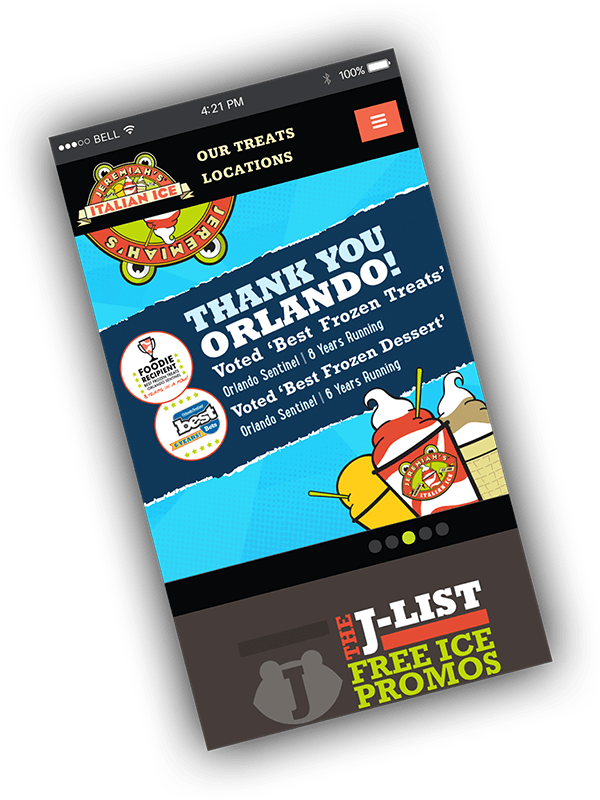 One of the major features of the new Jeremiah’s Italian Ice website is the ability for visitors to find the Jeremiah’s location closest to their current location. This was achieved by utilizing the Google Maps API to ask for and use a visitor’s geolocation, as well as providing the option to manually search by address or zip code. Providing an effortless geolocation option to visitors, especially mobile visitors, is a crucial step toward a positive usability experience. 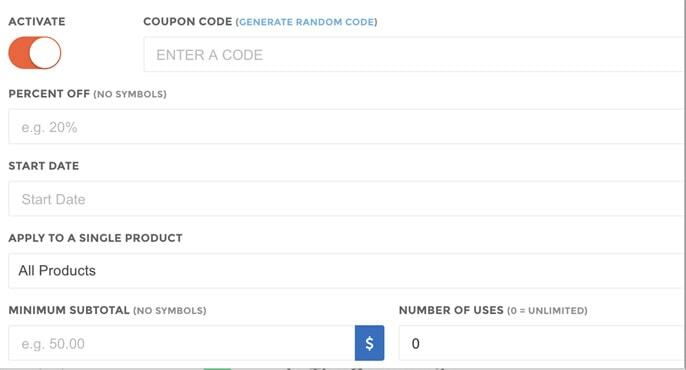 In addition to powering the website, the back end of JeremiahsIce.com powers much more — from warehouse production to customer contact and Party Bucket Orders. The back end also powers digital menu boards at select Jeremiah's locations. These menu boards, presented in 4K clarity, offer up pricing, promos, and of course the currently available flavors on a per-location basis. A CMS like no other.  ASCEND is a custom designed and developed Content Management System, built on modern technology and assembled to industry standards, which I provide to all of my clients. From easy media management, to a focus on Search Engine Optimization for content, ASCEND powers all custom websites I build. The Jeremiah’s site is fully powered by ASCEND, including eCommerce and warehouse-level functionality. ASCEND is a CMS that fits your unique content. It is entirely customized to the website which it powers, as opposed to the opposite which is common with other content management systems on the market. From a website's unique page structure, to its custom integrations and flow of data, ASCEND effortlessly manages it all. Not to mention, ASCEND provides multilingual support, as well as support for device-based content delivery. The Jeremiah’s website, like all websites I design and develop, was produced following a Web Design Production Process that I have developed over the course of my 11 years in the business. Paramount to visual beauty is proper functional cohesiveness. The Discovery phase determines goals, usability expectations, and content. From that, the Design phase produces a visual appeal and the Development phase pieces together the design and the functionality. Next comes testing and tweaking, and last, but not least, is launch. I can do this for you. I'd love to speak to you, whether you're ready to move forward or not. Let's have a chat.